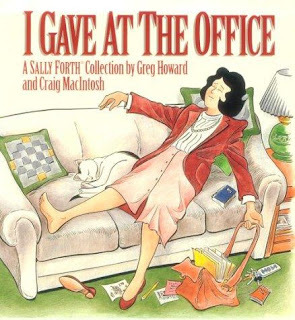 There is actually an online discussion forum that addresses the meaning of the phrase, "I gave at the office." And then there is that great "Sally Forth" cartoon book. You can click the link, or the image, to get the reference for that. Typically, "I gave at the office" is a response provided to those who are soliciting donations of various kinds (including political donations), in an effort to dodge the donation request. I have always had another, more idiosyncratic meaning for the phrase, used just for myself alone, and not part of the common parlance. 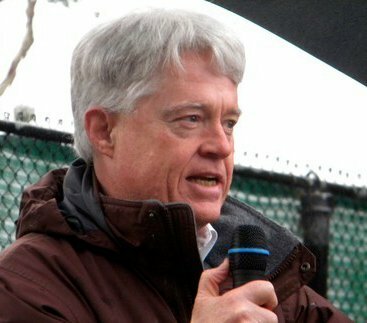 Particularly when I was an elected representative, and working for the public in that capacity, I told myself that requests or demands for my greater or additional civic engagement (some of these demands being self-created and some coming from the outside) were fairly answered by my claim that "I gave at the office." My response to a call for greater personal involvement was that my work was positively beneficial for the world at large, and involved me in the issues of the day, and that this was really all that was, or ought to be, demanded of me. I wouldn't be surprised to find that many of us have something of a similar idea about what kind of role we ought to be playing in public life. We tell ourselves that we have "already given," at the office, at home, in our church, or in whatever civic organization with which we may be engaged; we might point to our monetary contributions or attendance at our children's soccer games. Whatever the example, the idea that we have "already given" is something we tell ourselves when someone asks us to do something more. It is something we tell ourselves when we think, ourselves, that we perhaps should do something more. If "We are the 99%" is going to mean anything in the long run, many more of us are going to have to do something more. Even though we already "gave at the office."